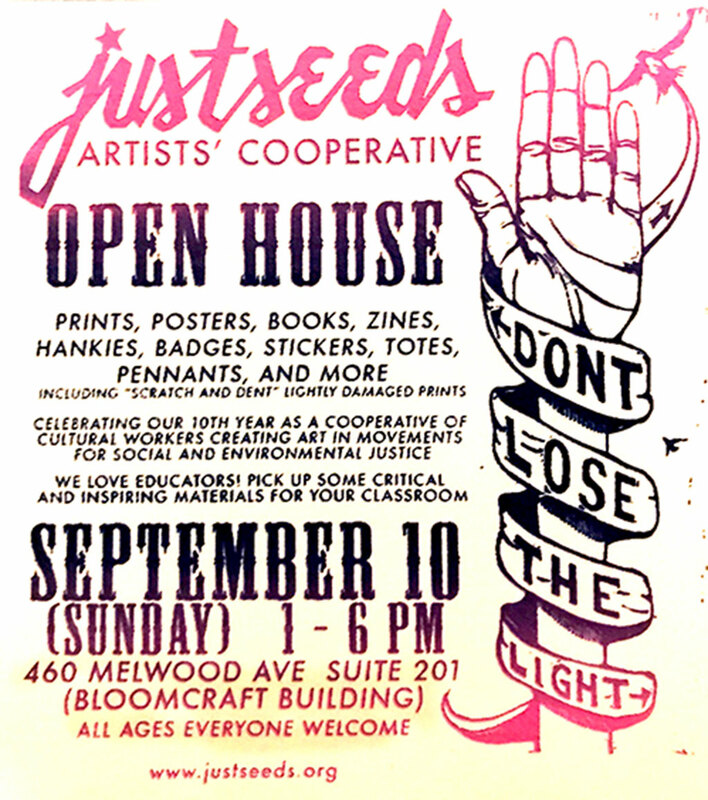 Justseeds Artists’ Cooperative are opening the doors of our shipping headquarters in the beautiful Bloomcraft cooperative space in North Oakland, Pittsburgh, for a September Open House. We love educators! Check out our Celebrate People’s History poster series, many books on the historical and contemporary intersections of art and activism, and our “scratch and dent” print pile of lightly damaged prints that we sell for a deep discount. There are lots of resources to add food for thought to your classroom and other educational spaces. Everything on our site is in person at our space. Save on shipping and see that print in person! Thank you for supporting what we do!